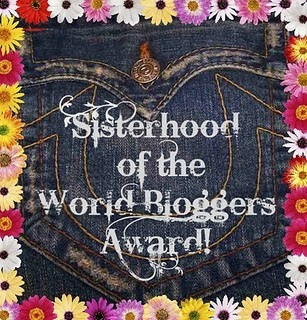 Today I am posting about the Sisterhood of the World Bloggers Award! I am so flattered and grateful that Milli Liza nominated and linked me to her post. Follow the link I’ve put in her name to see her blog! The Sisterhood of the World Bloggers award recognizes the unique voices of women bloggers around the world. 1. what’s your dream job and why? I would love to do anything artistic and make a little money doing so. I love painting, drawing, and creating in general. They don’t call them “starving artists” for nothing though. 2.If you could travel anywhere in the world, where would it be? I’ve been to one of dream cities, Paris. I do want to travel through Ireland with just a camera and a backpack. 3.Would you rather only ever use mascara or only ever use concealer? I will say concealer. I have said this a million times, but concealer takes me from Tim Burton character to normal human being in less than a minute. 4.What’s the best beauty advice you have ever been given? 5. what’s your favourite high street clothes store? High street? I live on broke street. I like Forever 21. 6. what does your typical spa night include? A glass of wine and a book. I’m usually too tired for much else. Is Netflix a spa? I would say savoury. I don’t eat too many sweet things. 8.what’s your favourite thing about blogging? The community! I’ve made a few friends blogging and I truly love finding supportive and empowering people. I have loved reading about people’s lives and their journeys. I love everything about blogging, honestly. 9. who’s your biggest inspiration? My mother. If I can become half the parent and woman she is, I will feel satisfied with my life. Maybe that’s cliche, but I am very close to my mom. She had 3 kids by the time she was 19 years old and since then has been an incredible mother, wife, and now has a blossoming career. She is incredibly strong and beautiful in every sense. 10. If you could only ever listen to one song, what would it be? This is too hard. Can I pass? I’m gonna pass. This question made my heart hurt haha. 1. What book do you find yourself reaching for over and over? 2. If you could only wear one brand of lipstick for the rest of your life, what brand would you choose? 3. What types of music inspire you? 4. What are some of your favorite blogs? 6. Do you know the muffin man? 7. What songs do you shamelessly sing loudly when you’re alone? I apologize if you have been nominated for this award before by others, of course. I do recommend everyone checking every blog linked out! All are lovely individuals and I love each of their blogs! I hope you all enjoyed this little award post! As always, thanks for reading, and if this is your first time visiting my blog I hope you decide to stay a bit! OMG one song!? I would have passed too, that’s HARD. Heyyyyyyyyyy! I live on broke street too! We’re neighbors!!! No problem! I adore your blog! My dad visited Ireland last year, and I have been envious ever since! It just looks so gorgeous there, and I want to see all of the castles! You are so welcome! My dad took some pictures there last year, and I have been obsessed with going ever since! I really hope to go in the next 5 years. Thank you for reading! And you are very welcome! I look forward to reading your post!